This Brass Shop In CP Has Cool Curios, Including Fully Functional Gramophones! 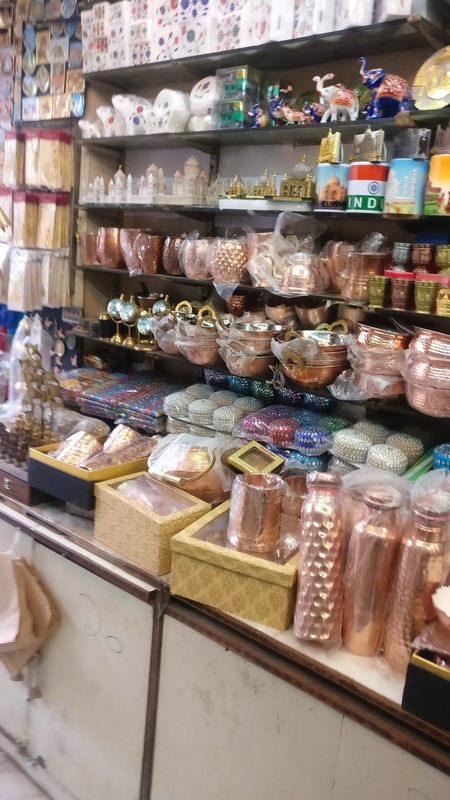 If you're on a stroll around and about Janpath, check out this little shop that will reel you in with its collection of curios and fun products. Popli Brass Shop, one of the many shops in the lane, mainly caters to tourists, we reckon, but even as locals, we couldn't help but appreciate the stuff they've got. You'll find the usual coasters, keychains, and idols stacked in neat rows here—and all things brass owing to the establishment's name—but you'll also find some cool, unusual stuff like uniquely shaped hookahs and even fully functional gramophones in different sizes (so old school!). The pricing of the smaller items starts at as low as INR 100 while the gramophones and hookahs can go up to INR 2,500. You won't find parking here, so make sure you're ready to walk a bit.